In GUSTO! 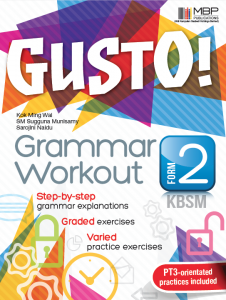 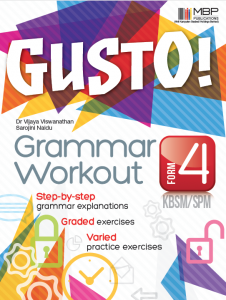 Grammar Workout Form 1 to 5, students will find grammar drills they need to strngthen their grasp of English grammar. Designed to help students understand and master the English language at their own pace, this series offers simple explainations, notes, tips and plenty of practices exercises on the grammar items covered in the KBSM syllabus..